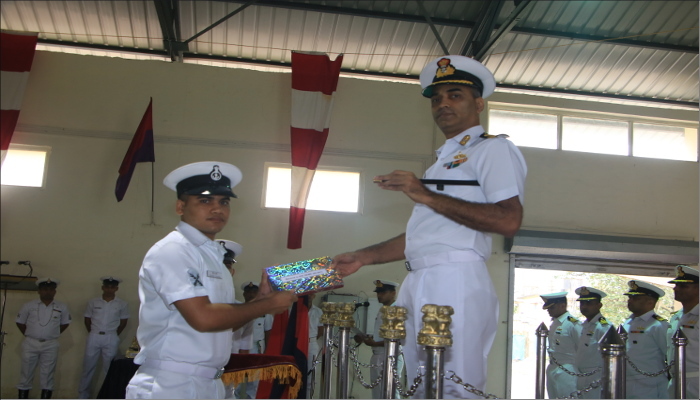 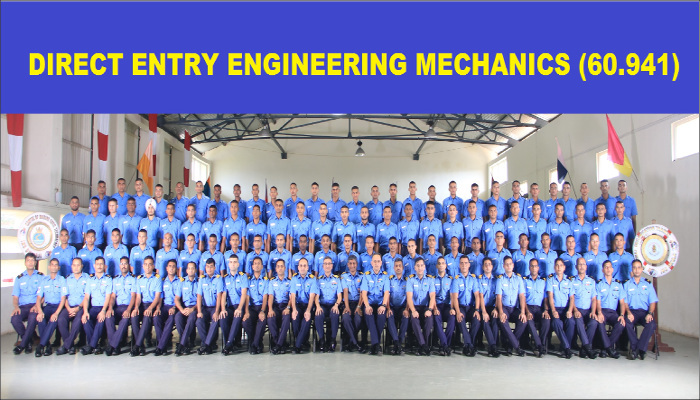 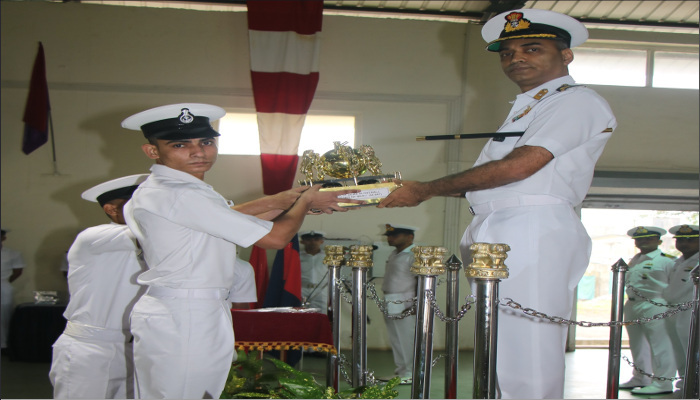 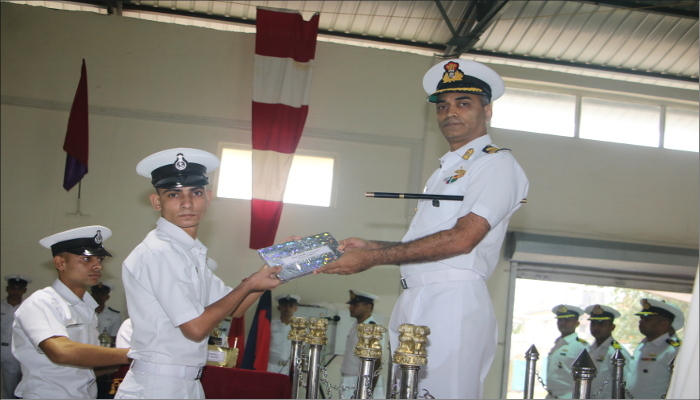 267 trainees from the Indian Navy and 27 from Indian Coast Guard of Direct Entry Engineering Mechanic Course (DEME - 60.941) Course graduated at a Passing out Parade held at INS Shivaji on 07 September 2018. 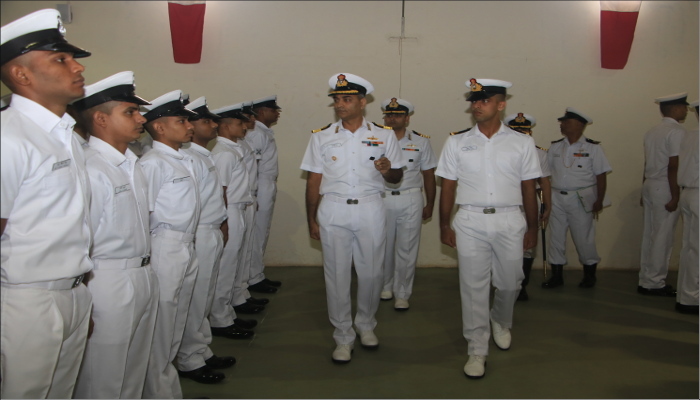 The POP, reviewed by Commanding Officer, INS Shivaji, marked the completion of 26 weeks of professional ab-initio training. 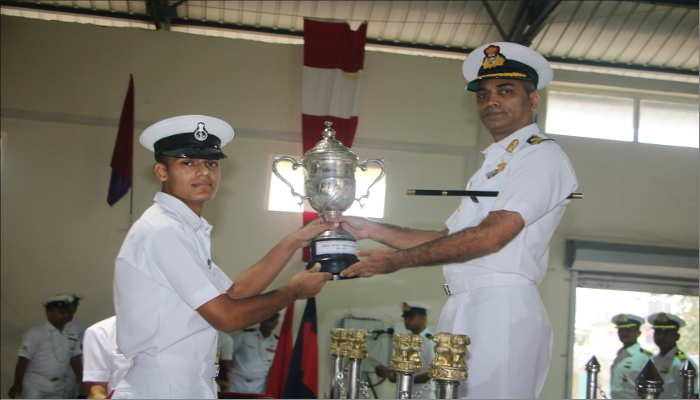 Shani Sarswat, DEME stood first in the overall order of merit and was awarded FOC-in-C (South) rolling trophy and a book prize. 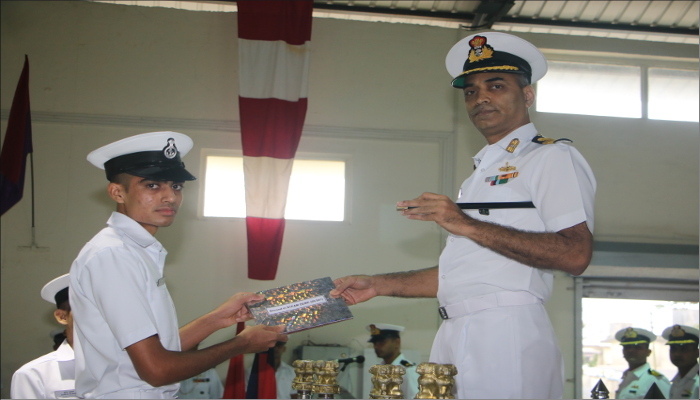 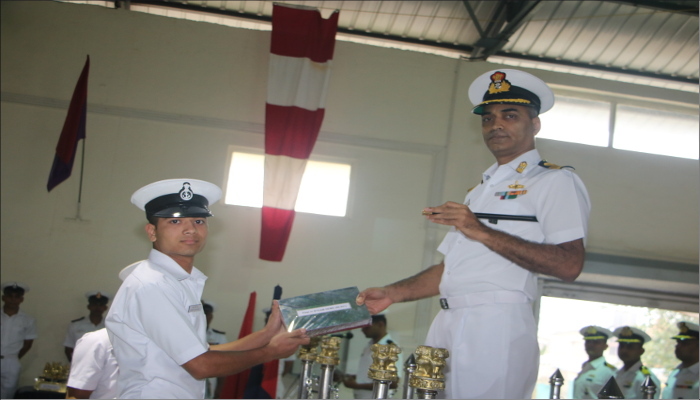 Rajnesh Singh, DEME was adjudged ‘Best Sportsman’ of the Course and was awarded Commodore’s Rolling Trophy.